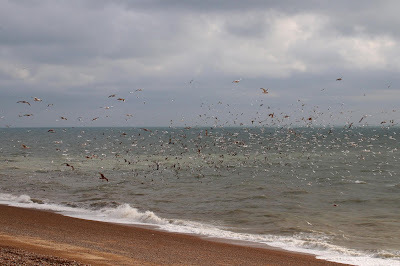 A cold, fairly windy and miserable day which hardly got light. 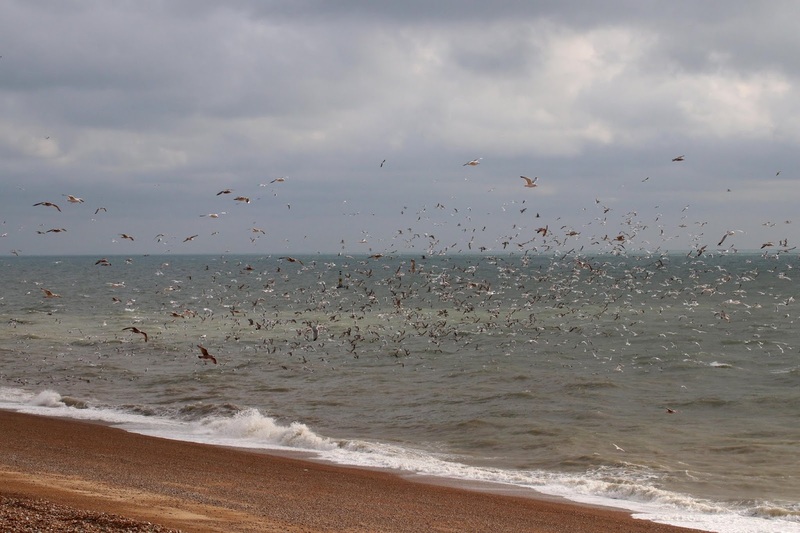 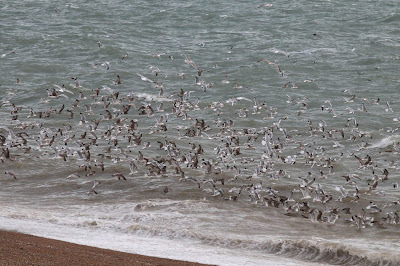 Virtually all day was spent looking offshore where there were huge numbers of gulls feeding mainly on Sprats which were washing up along the shoreline. 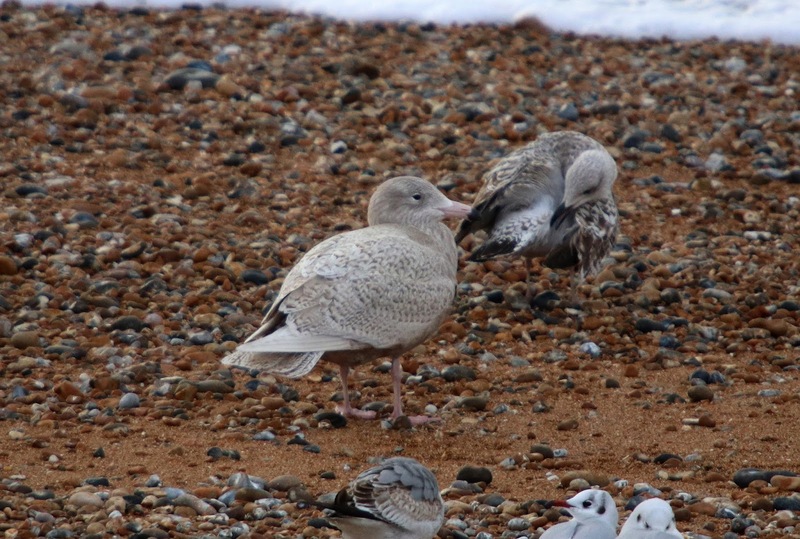 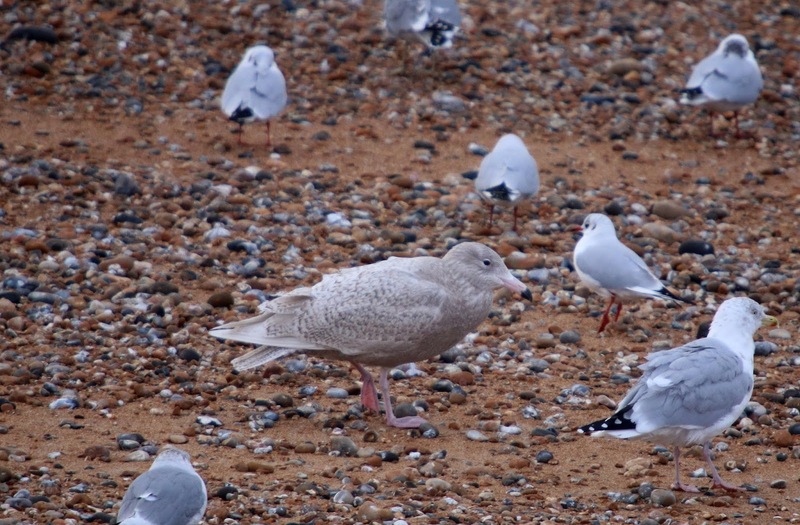 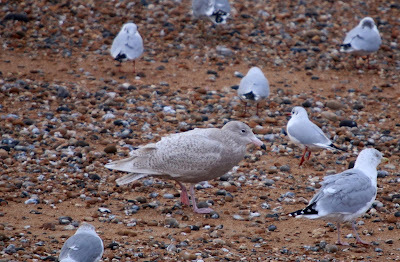 The highlights were a juvenile/first-winter Glaucous Gull (probably the bird seen at Newhaven a few days ago), at least six Caspian Gulls, a first-winter Yellow-legged Gull, 22 Mediterranean Gulls, an adult hybrid Mediterranean x Black-headed Gull and three Little Gulls. 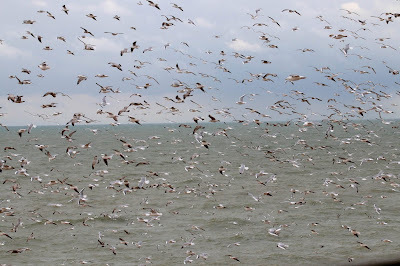 At least 4000 Cormorants were also seen. 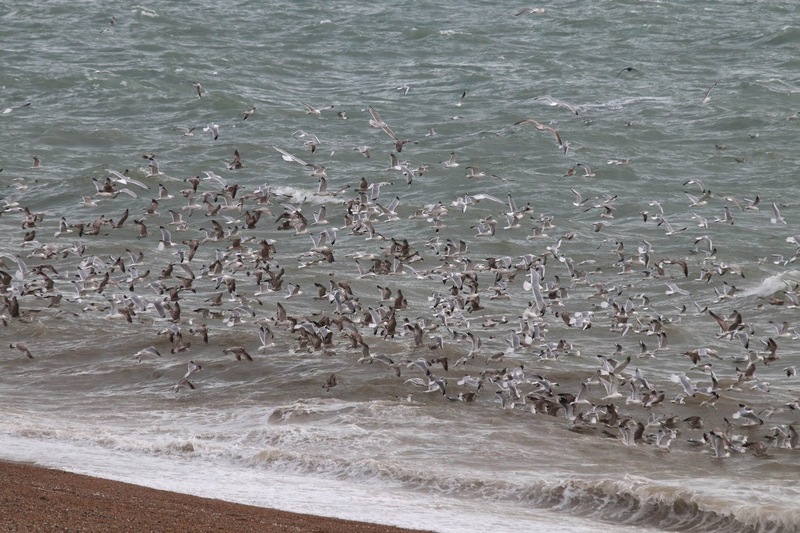 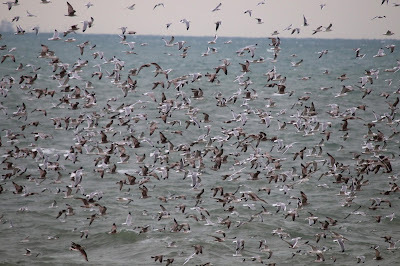 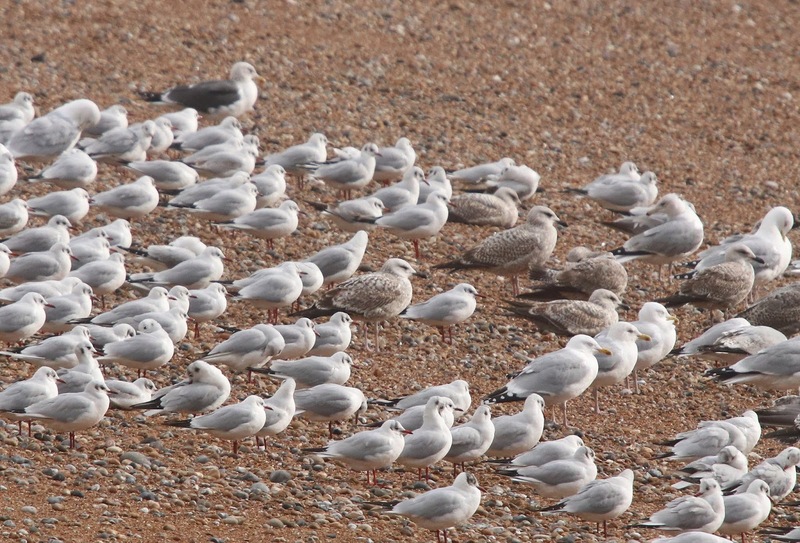 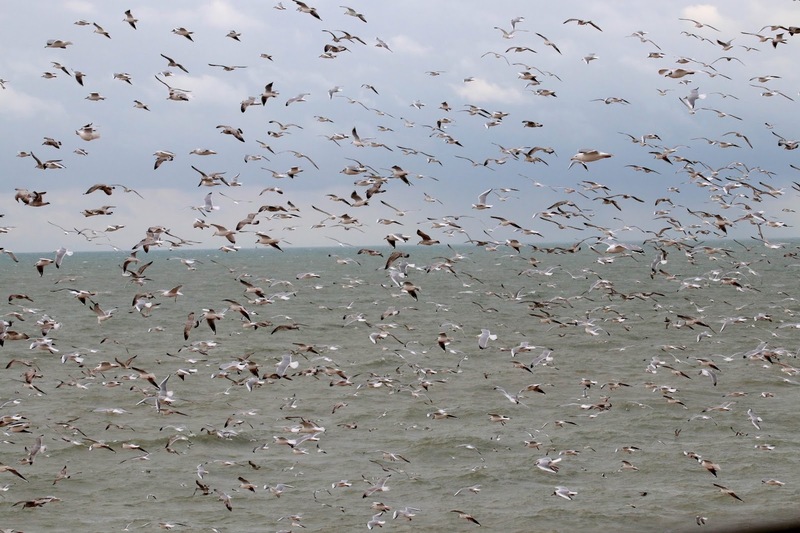 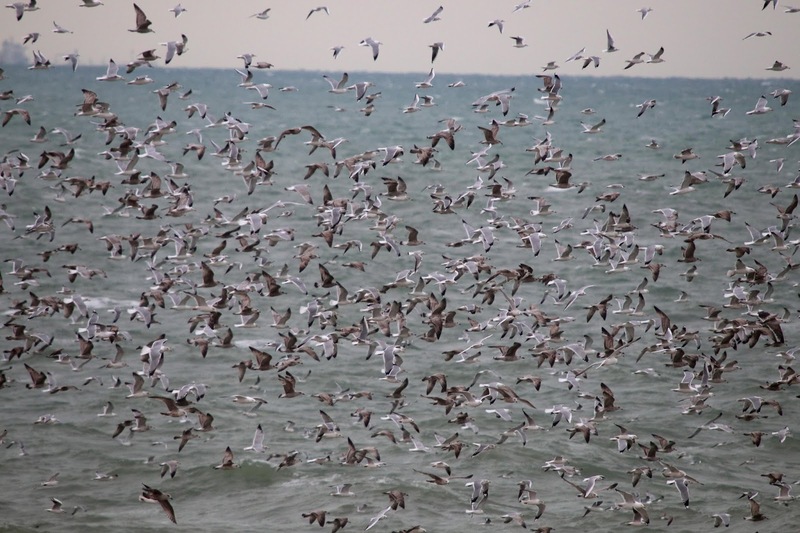 It is very hard to convey just how many gulls were feeding offshore but these might give an idea.